Orlando Pitti, who works for the joint U.S.-Panama commission to eradicate screwworms, is working on sterile screwworm fly releases in the Keys. 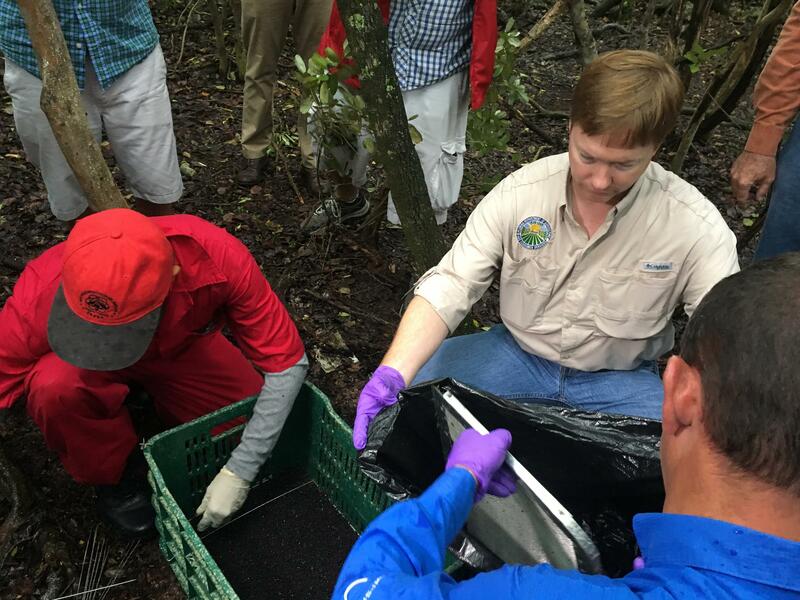 Florida Agriculture Commissioner Adam Putnam helps clean out a sterile fly release chamber on Big Pine Key Thursday morning. So far more than 10 million sterile screwworm flies have been released in the Lower Keys. So far most of the victims of the screwworms have been Key deer, an endangered species that lives only in the Lower Keys. After screwworms were found in Lower Keys, the USDA began bringing in sterile flies from its lab in Panama. The USDA and the Panamanian Ministry of Agriculture breed the flies and irradiate them there to maintain a sterile fly barrier in the Darien Gap between Colombia and Panama. So far more than 10 million flies have been released in the Keys. "As of yesterday, we have 25 sites in the field and we do this rain or shine for as long as it takes to eradicate this," said John Welch, who works with the USDA's Animal Plant Health Inspection Service. The U.S. Fish & Wildlife Service has also begun treating Key deer with an anti-parasitic medicine to prevent infections or knock back minor cases. 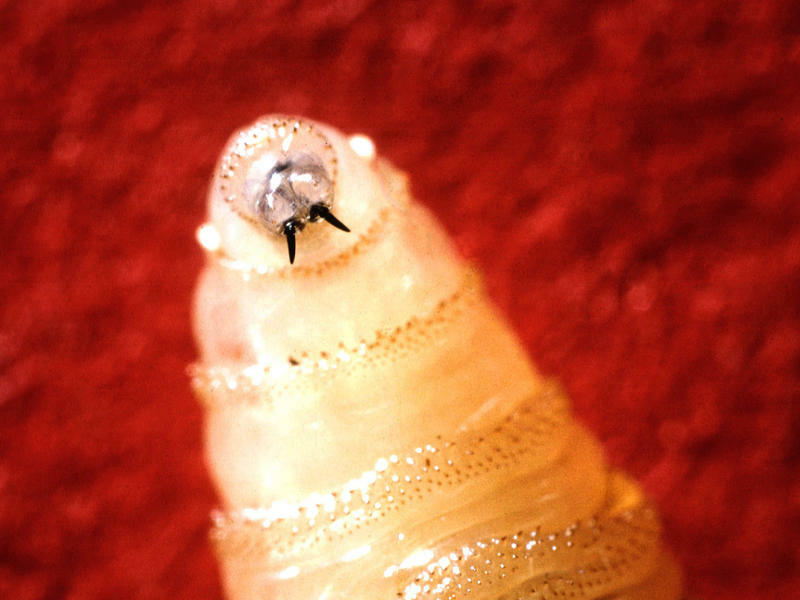 The state of Florida is also trying to keep the screwworms from reaching the mainland, declaring an animal quarantine in the Keys and setting up a checkpoint on the Overseas Highway in Key Largo. Florida Agriculture Commissioner Adam Putnam said almost 2,000 animals had been examined at the checkpoint by Thursday. "We've looked at rabbits, parrots, dogs, horses, cats," he said. "None of them have shown any indication of needing treatment from screwworm." Putnam said public awareness was key, both in checking pets for wounds and reporting any wild animals that may be affected. "It's going to allow us to save our precious Key deer, protect our pets and protect our livestock industry in Florida," he said. Officials say they can't tell yet how long it will take to eradicate the screwworms — or to figure out where they came from. Putnam said he's aware other states with major livestock industries are watching the response in the Keys. "Make no mistake, if this were in another state I would be watching it very carefully," he said. Over the past 70 years, the U.S. has been waging a war against a miniature menace: the New World screwworm. The story of how we eradicated the critter has it all: triumph of the little guys, a medical treatment that uses bacon (i.e., "bacon therapy") and a new technology to wipe out horrible diseases — one that scientists are using today to try to stop the Zika virus. 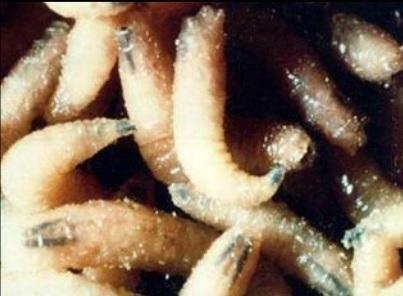 The screwworm is arguably the most cringeworthy creature on Earth. Seriously, if you're squeamish at all, you might want to skip the next few paragraphs. Officials say they've found no evidence of screwworm in hundreds of pets examined for signs of the parasite killing endangered deer in the Florida Keys. They look like tiny tubes with stumpy legs. 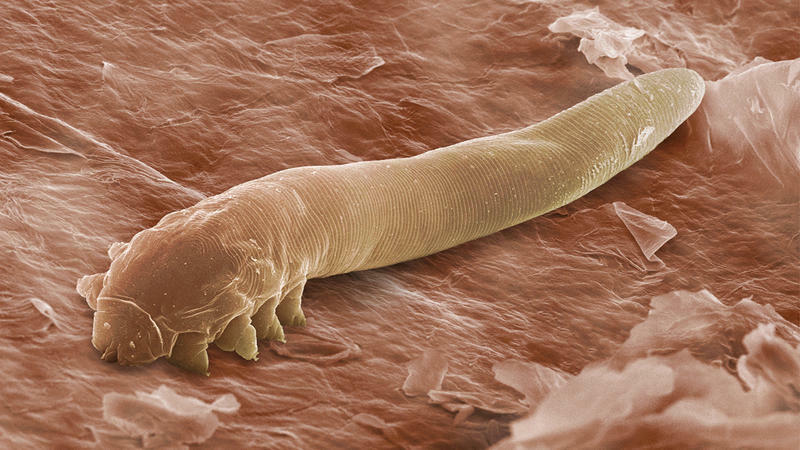 They can nestle snugly into pores, right at the base of small hairs. And there are probably hundreds on your face. 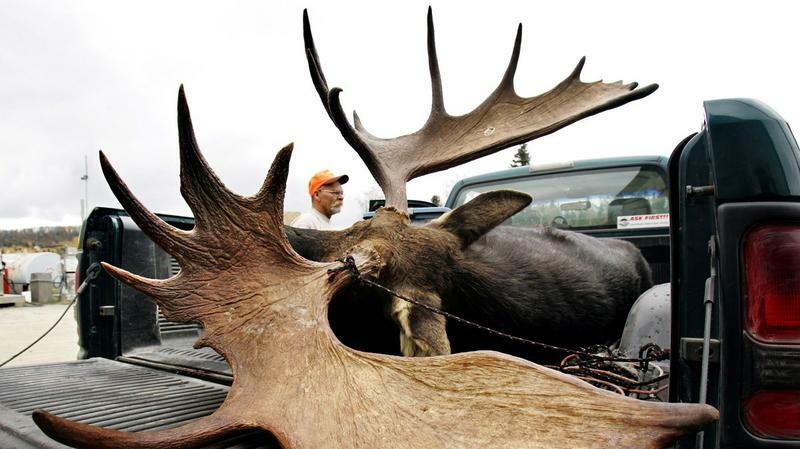 The news for moose is not good across the country's northern tier and in some parts of Canada. A recent and rapid decline of moose populations in many states may be linked to climate change, and to the parasites that benefit from it. In Minnesota, moose populations have dropped from a high of more than 12,000 two decades ago to fewer than 3,000 now. Moose in some parts of Manitoba have declined by 50 percent and more.